On 26 July 2018, enterprise software provider Atlassian and team collaboration player Slack announced a partnership that sees Atlassian exiting the team collaboration space. Under the terms of the agreement, Atlassian has sold the intellectual property for its team collaboration tools HipChat and Stride to Slack. Atlassian will discontinue both products and encourage customers to migrate to Slack. As part of the deal, Atlassian has purchased a "small" equity in Slack, and the companies have committed to developing closer integrations between their products. Financial terms of the deal were not disclosed. Atlassian has been dabbling with the team collaboration market since it acquired group chat start-up HipChat in March 2012. HipChat — which launched before Slack — at the time boasted 1,200 customers, and was positioned as a natural addition to the Atlassian portfolio, which includes popular and successful products in the areas of software development (such as Jira, Bitbucket and Bamboo) and collaboration (for example, Confluence and Trello). However, Slack's phenomenal growth quickly left HipChat behind, and so in September 2017, Atlassian launched Stride as a cloud-only replacement for HipChat, adding features such as video chat and meetings. Unfortunately, it seems that Atlassian was unable to convince its users and the market in general about the potential of Stride, and has decided to throw in the towel and align itself with the market leader. By establishing an alliance with Slack and focusing on better-integrating its more successful applications with its ally, Atlassian will be hoping to acquire a larger slice of Slack's users for its remaining products. Not only that, but rumours that Slack is considering an initial public offering of stock will have Atlassian keeping an eye on its equity investment. From Slack's perspective, this was undoubtedly an easy decision to make: despite its current dominance in the market, it's facing relentless pressure from rivals such as Microsoft Teams, and any opportunity to cut the number of competitors will be welcomed. Being the reason for their removal (even if it is in a friendly manner, as is the case here) sends an even more powerful message. Slack's customer numbers are impressive: it now has more than 8 million daily active users and 70,000 paying businesses using its tools. However, it will have to be careful not to become complacent. 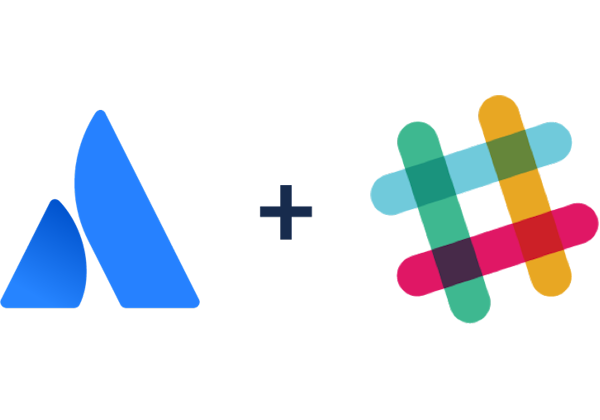 With this partnership, Slack also has the opportunity to snap up HipChat and Stride users, and is working with Atlassian to make the migration process as appealing as possible. With both products being discontinued, customers must make quick decisions about what to do next, and Slack and Atlassian are counting on them choosing the easy path to the market leader. The broader partnership is also very much in Slack's interest; Atlassian is a strong and respected brand in many of the sectors where Slack is building its presence, and its alliance will help to give Slack the credibility it needs to get large enterprises — and, let's face it, the financial markets — behind it as it battles to hold off the challenge from Microsoft. However, it's worth noting that this "acquisition" doesn't add anything special to the Slack portfolio from a technology perspective. As a direct competitor, Stride's functionality is largely parallel to Slack. One of the key areas that Slack is missing — tasks and projects — would benefit more from a tie-up with Trello than with Stride, and while we're promised better integration with Trello as a result, this still leaves Slack with a gap. While this news makes sense for both companies, it's not necessarily the case for HipChat and Stride customers, who are now forced to change. Both Stride and HipChat Cloud are being discontinued in February 2019, with Stride now closed to new sign-ups. For customers of the on-premises versions of HipChat, HipChat Data Center and HipChat Server, Atlassian will honour existing contracts, but renewals will not be able to extend beyond 26 July 2019. Any customers that have bought an annual licence within the last 90 days are able to request a refund. For some customers the option to transition to Slack smoothly may be welcome, but others will feel they have been let down by Atlassian, and will begrudge being actively pushed towards Slack, which they may have previously chosen to avoid. Slack has a lot of work to do to build trust among Atlassian customers if it is really to take advantage of the opportunity here. In practice, although customers will undoubtedly be reeling from this news, Atlassian's migration path to Slack is not a bad option for them. HipChat was already on its way out, having been superseded by Stride, and, although it is cloud-only, Slack is a sophisticated team collaboration solution that offers more than both products. It is also riding high in the market, so is unlikely to meet the same fate as Stride and HipChat in the medium term. The promise of further integration will also be welcome to those using multiple Atlassian products. This announcement is the first example of supplier consolidation in the team collaboration market, which until now has been characterised by new entrants, often established players from adjacent markets. While it's very much low-hanging fruit for Slack, the company will need to play this very carefully to avoid alienating its new pool of potential users. For a company that is built on word-of-mouth and customer advocacy, a wrong move here risks destabilising its brand. The enterprise collaboration market is very much in transition: where functions could once be categorised very clearly — unified communications, conferencing, social collaboration, and so on — the lines are rapidly blurring, to the point where we see Slack competing not just with another team collaboration tool, Microsoft Teams, but with an enterprise social networking tool, Workplace by Facebook. Like Microsoft, Facebook is another player that's determined to challenge Slack and is rounding out its offering so it can be used in more ways and solve more collaboration challenges. Just hours before the news of the Slack and Atlassian deal, we learned that Facebook had acquired team collaboration start-up Redkix, which has some useful features that combine e-mail and team chat in one place. As we see so often in the enterprise software space, there's an ongoing battle between individual programs and suites of software. However, the emerging wave of consolidation suggests that currently the integrated suite approach is winning. Certainly there's a question mark over how many overlapping applications users are willing or able to maintain, and so an integrated offering from one supplier should be a more viable option — even if it doesn't always work that way. The competition's hotting up for enterprise collaboration, and at the moment, it's anyone's game.